Buying a used car is a great way to save money. Since cars depreciate in value so quickly, you can get your hands on a quality used vehicle while spending thousands of dollars less than buying new. In addition to asking the seller for the vehicle’s VIN number and looking up the vehicle history report online, you should definitely invest in a pre-purchase inspection. A VIN check is a great way to obtain an accident history and maintenance report, but this isn’t enough to make your final decision. After all, not all used cars with a clean vehicle history report are in good shape, and unfortunately, some people may try to deceive you. Use these tips to ensure you really want to buy the car you’re considering. Does the car start on your first attempt? Does the ride feel smooth? Do you notice any jerking or pulling? Does the car shift easily between gears? Does it accelerate with the amount of power you would expect? Do the brakes respond well? Do all the knobs and controls work, including the heater, air conditioner, electric windows, power seats, and cruise control? Do you hear any odd engine noises or see smoky exhaust? Stop by Scott’s in Fort Collins for a comprehensive pre-purchase car inspection. 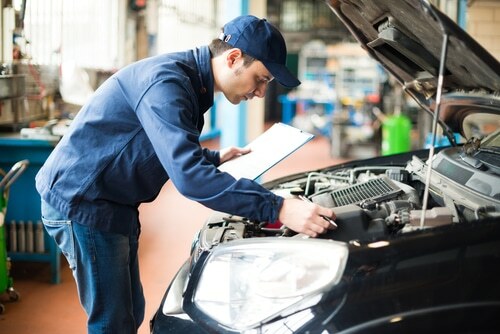 Mobile inspections are also an option, but without a lift to place the car on, the mechanic can’t complete as thorough of an inspection. A glowing report should give you the peace of mind you need to go through with the sale. If the report comes back with some minor flaws – such as worn tires, brakes in need of repair, and leaky hoses – you can use the report as a bargaining tool. You might insist that the seller takes care of these problems first or lower the asking price so you can repair them yourself. A troublesome report gives you a reason to walk away if the seller refuses to repair the problems or drastically lower the asking price. Before you finalize your car purchase, ask the seller to take the vehicle, or let you bring the vehicle, to Scott’s Fort Collins Auto & Repair. A small investment in a pre-purchase car inspection can tell you whether you’re about to buy a great car or step into a nasty set of problems. Call us at 970-682-4202 today or schedule your appointment online.